There's no place like home – and Wigwam® Cabins offer a glamping experience you will want to repeat time and again! Imagine this - a roaring campfire; an enticing hot tub; a chilled glass of Prosecco - sounds luxurious, isn't it? And this can be experienced at a number of Wigwam® Holidays sites. So, you've heard of glamping - welcome to Wigwam® Holidays, one of the nation's leading glamping accommodation providers. 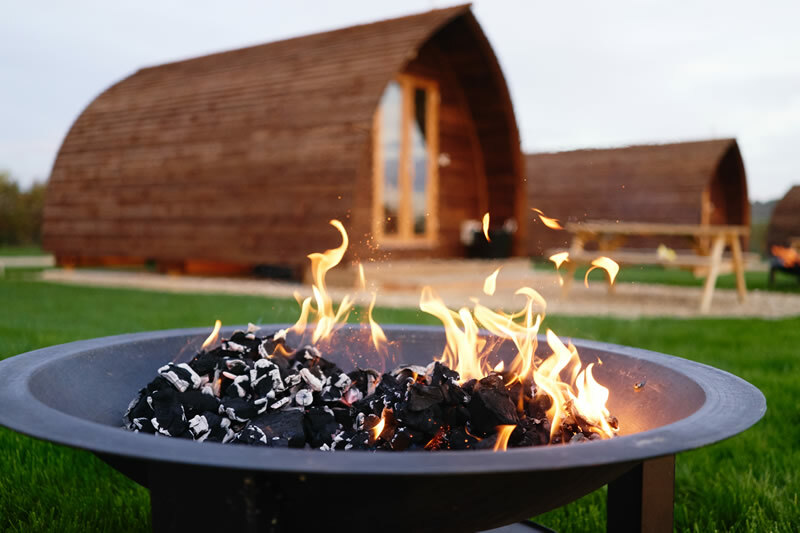 Wigwam® Holidays' tick list is impressive: perfect for family trips or a couple's romantic hideaway; dogs welcome at many sites; en-suite cabins available; heated and insulated; spacious; comfortable; affordable! Wigwam® Holidays have over 80 sites nationwide – on remote islands, overlooking the sea, on working farms and in many more locations. Many sites have the convenience of being bookable online, too (like Wigwam® Holidays Brampton). What can I expect at a Wigwam® Holidays Site? As well as a very warm welcome, you can expect warm, snug cabins, additional services such as bedding hire, great locations (many close to family attractions) and a great price. 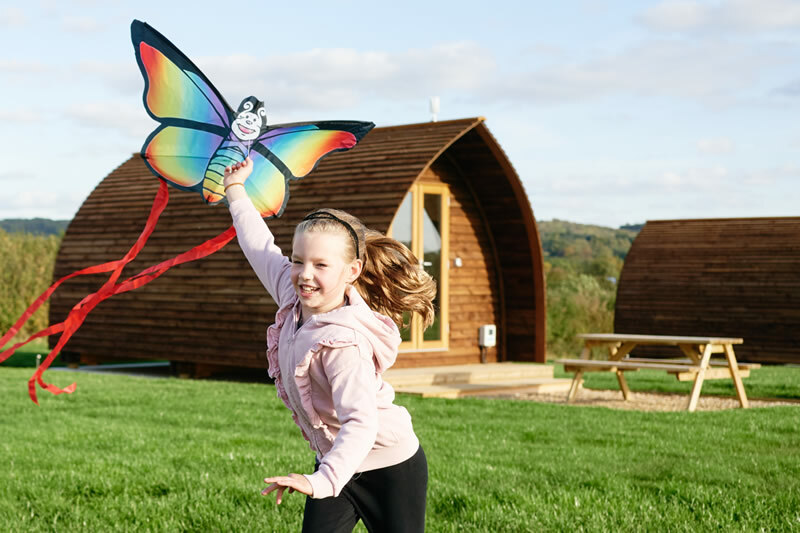 Wigwam® Holidays' core value has been 'great holidays in the great outdoors' so while you enjoy the fresh air and create those memories, you don’t have to worry about returning to a damp tent! How did Wigwam® Holidays begin? In the late 1980s, Wigwam® Holidays' founder came up with a prototype for a timber tent, using forest thinnings. From these, Wigwam® Cabins were born and now their network of sites is nearly 25 years of age! So you could say they've 'glamped' from the very beginning. As well as enjoying 'great holidays in the great outdoors', Wigwam® Holidays also do their bit for Mother Nature, using timber from responsible sources during their cabin-making process. They make their cabins in Scotland, using skilled craftspeople. Enter via the Gleam widget below. Competition ends 30 June 2018. Please see the terms and conditions below. • Travel, food, bed linen and ANY additional costs are NOT included. 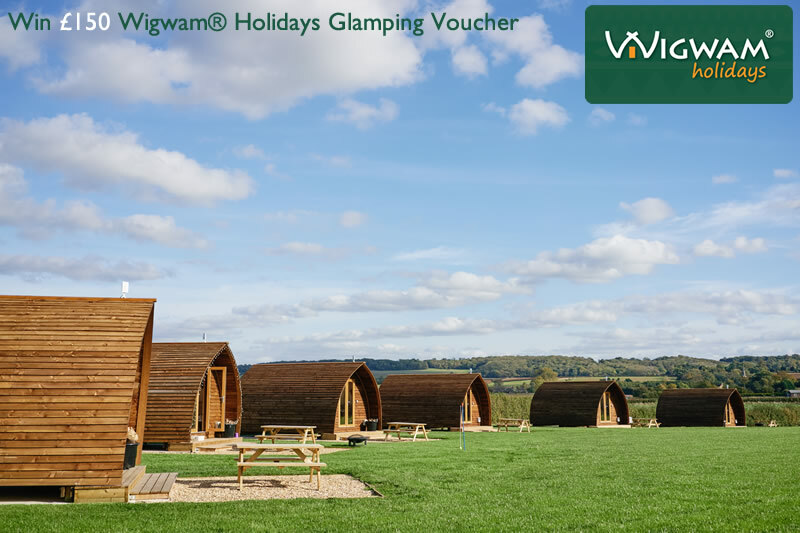 • The Prize is ONE £150 Wigwam® Gift Voucher only, which can be used while making a booking online. • Online bookings strictly subject to availability, and is also subject to the booking Terms and Conditions of Wigwam® Holidays and to the booking and availability conditions of individual Wigwam® Holiday sites. • The Prize does not have any monetary value and is NON-TRANSFERABLE. It is a single use Voucher and can only be used once. • Once gift voucher code has been used, the Prize cannot be transferred to another Wigwam® Booking or Site, nor can it be transferred to any other type of holiday accommodation or to another customer. • Should the Prize Winner need to cancel their booking, it is at the discretion of the Wigwam® Site concerned whether they are willing to transfer the booking. This might incur an administration fee and additional tariffs. • Some sites, due to location and/or size, do not accept dogs. It is the sole responsibility of the Winners to check whether their preferred site accepts dog and if so, how may dogs are permitted in a Wigwam® Cabin Each Wigwam® Site has individual requirements and restrictions regarding this and could incur costs. • Once a booking has been confirmed, no changes are permitted. If a booking is cancelled, no alternative dates can be arranged. No compensation and/or refund will be provided in these circumstances. • The photos for this competition are used for illustrative purposes only and the type of Wigwam® Cabin, its facilities and site location varies. • The draw is not open to persons employed or contracted to Wigwam® Holidays and their agents, to The Globe Trotter employees or any of their agents. Never tried glamping, but having read this, I think I should! My favourite things are: Camping in style & comfort, making memories and having adventures. Just been to Millside near Grantham and had an amazing time. Would love to go back! I love the fresh air, the quiet and being able to relax! This looks like the only way to camp!!!! Enjoying nature, the great outdoors and it's something different. The 3 things I enjoy are Nature, Comfort, Family. Thanks for the competition! I would love to give glamping a go as it will add a touch of glam to a staycation! I love being outdoors and in nature though! Spending time with family, being outdoors and enjoying the countryside. I love the feeling of being outdoors with the comfort of being indoors, how there's always a sense of community between the pods and last but not least, toasting marshmallows on the fire pit! The wonderful beds, the peace and quiet and the outdoor time! Peace, fresh air and nature. It's more fun than staying in a hotel, it's more comfortable than camping and you get to be near the outdoors. the smell of the grass in the morning, the fresh air and the lack of technology! Way cool. So happy to share this peace-inducing giveaway. Sleeping in proper bed, being close to nature, not having to put the tent up. 1. Glamping gives me the option to camp. As a disabled person in a lot of pain, I can neither lie down, sleep on, nor get back up off of the floor - so traditional camping is out. 2. My son doesn't have to miss out on camping, because we can do this as a family. 3. I like to be close to nature but have the security of a barrier thicker than a piece of material protecting me from the elements. This would be a new experience for us as a family, we've never been glamping. I'm a huge fan of the fact it's so eco friendly, and sustainable too. Finally, as there are locations in Scotland, we can cut down on our Carbon Footprint too. Fresh air, nature and peace. Being Outdoors, new home for a few days and time away from routine! My favorite things about glamping are that you can pack less then when you go camping, you don't have to worry about it raining and pouring through the tent roof at night & finally even though you have a solid roof over your head you are still close to nature. Comfort, comfort and comfort! My husband wont go inside a tent! Comforts of home combined with being close to nature and sheltered from the elements. 1) warmer and drier than a tent - we once had a tent collapse on us in a rainstorm! I’ve never had the opportunity to go glamping before, but I like the idea of being out in nature, being in comfort and having unique places to stay in! I love the fact you don't have to carry all your camping gear, important if you don't have a car! You also don't arrive to find out you have either a punctured airbed or leaky tent lol! It's all the benefits of camping without the hassle! I’ve never tried glamping but I like that it’s not in a cramped tent. I love the idea of sleeping in wigwam. Peace, comfort and the outdoors!